Everyone in my house has been sick lately with one thing or another. To stop the spread of icky germs, we've been washing all the bedding and sheets. In this great wash-fest it had dawned on me that we may not have enough blankets to cover us while the germy ones are being washed. I started working something up Saturday night and now have a lovely multi-colored round of my own design. The round is lilac, sea green, variegated blue, and pale pink so far. I will have to be careful washing it because this is all mystery yarn!! No labels. Regardless, I think it will look fabulous. 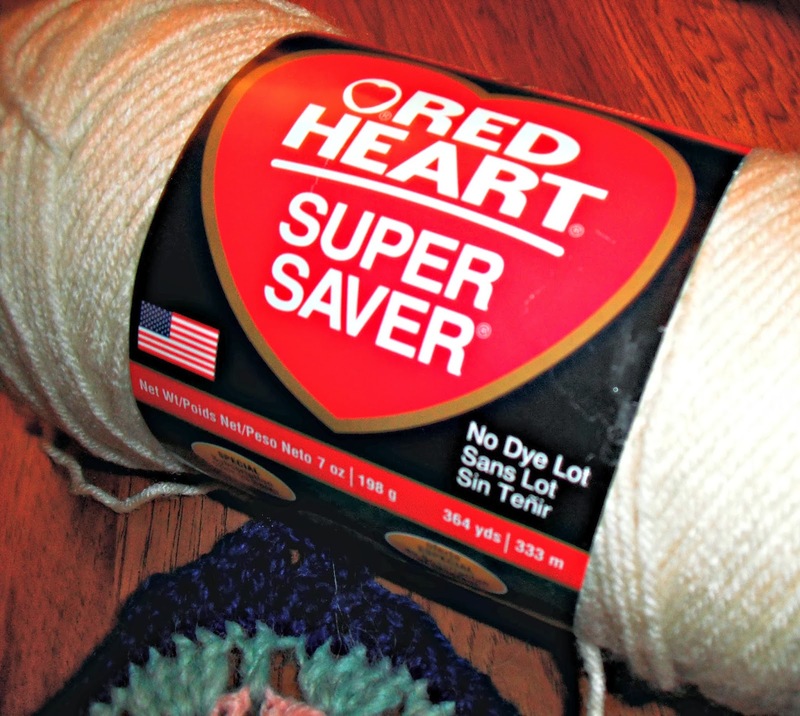 So far, the only yarn I've bought for this project is a nice cream colored Red Heart Super Saver yarn called Aran. I bought it because I thought I needed something neutral to pull it all together and border all the squares. This is for a blanket that kids will most likely spill things on, so I'm going for functionality and lasting power. 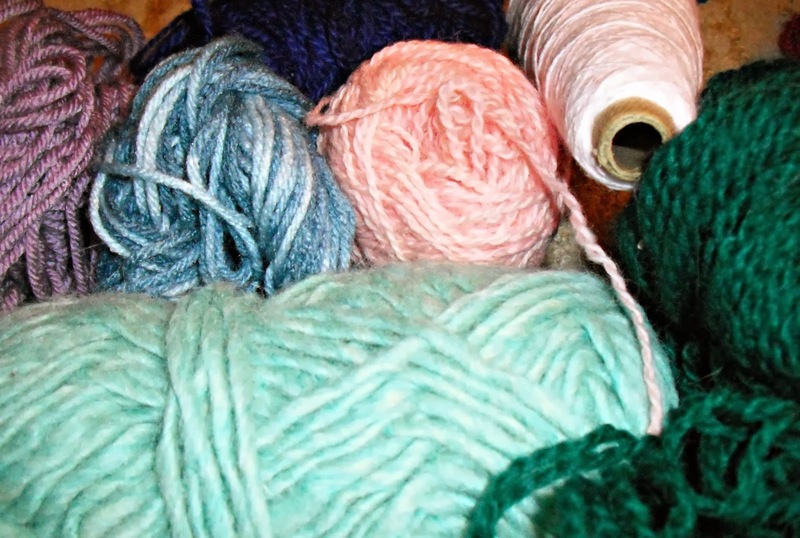 That and we all know how inexpensive the Super Saver Yarn is. I swear it's a nicer color than the photo but cream can be such a hard thing to photograph. 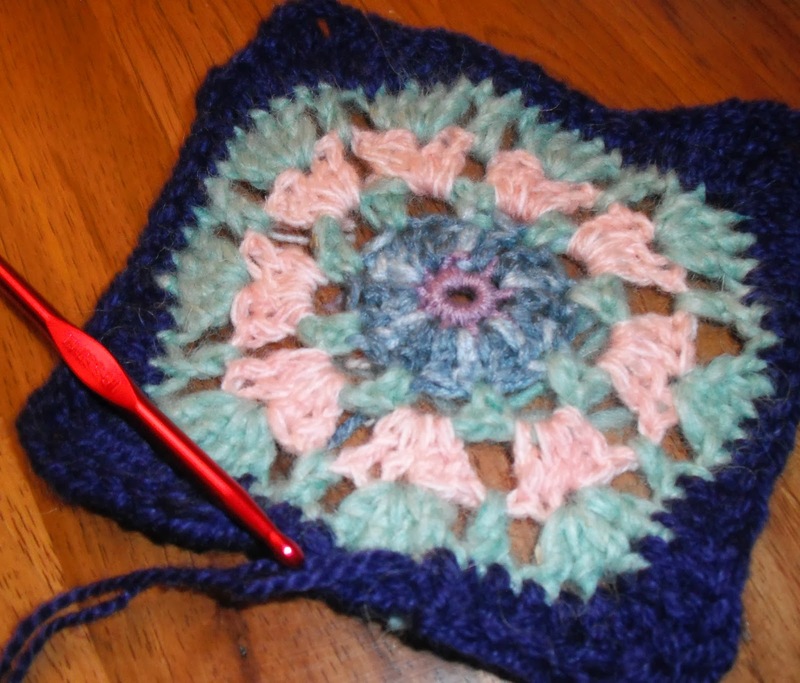 My next big hurdle is actually turning my lovely circle into a nice even granny square. I couldn't possibly go with a pattern. Nah. That would be easy and something someone has already done before. I'm going for original and probably more difficult. Ha ha!Wish me luck! And once I get one square done and am happy with it I am going to be posting instructions. I doubt everyone wants to do it the hard way like me.